One Year to Live | Highfields, Inc. It all started when Jessica gave birth to her son, Peyton. He was born with a genetic disorder called Microcephaly, which means that his head and his brain do not grow normally. At four months old, Peyton’s head hadn’t grown at all. 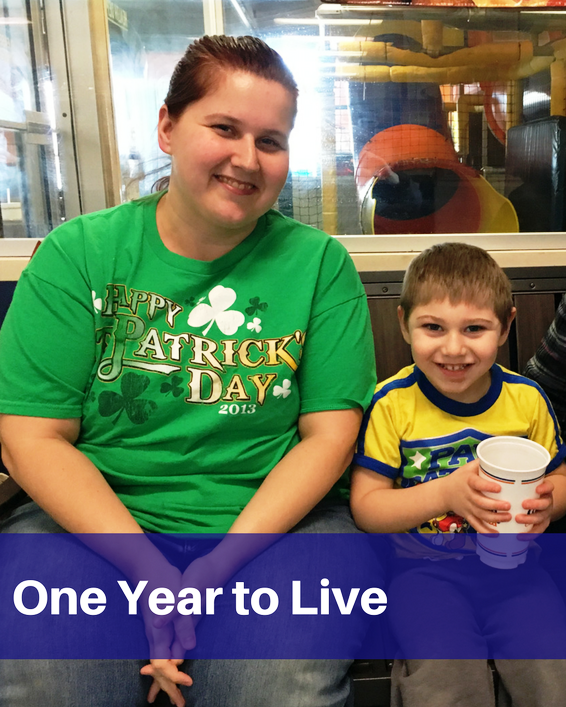 The doctors told Jessica that he wasn’t going to live past 1 year old. For the next several months, Jessica and her partner, Daren, struggled to cope with the diagnosis. Jessica had coddling issues with Peyton and was very overprotective. When Peyton turned 1, and continued to show progress, Jessica was unable to celebrate the milestone. “I couldn’t enjoy those moments with him because I was constantly stressed about his condition,” she said. During that time, Jessica was neglecting her other children, Haley, age 6, and Karter, age 4, and observed Karter’s behavior changing. As the middle child, and the only other male sibling, he started to act out and began to self-harm. Jessica was referred to Highfields’ Home-Based therapy program to help with Karter’s behavioral issues. She and Daren worked with Highfields’ Counselor Ruth Vanderpool-Combs to try to get their lives back on track. Ruth taught Karter coping skills and strategies to help him with his anger, including ways to calm down and self-regulate. As Peyton got older, he had the same aggressive tendencies as Karter, on top of other developmental challenges, so Ruth stayed with the family and began to focus on Peyton. Peyton has delayed development, sensory issues and uses nonverbal communication. Ruth used games and activities to help him open up, share, and engage with his siblings. Ruth and Jessica also used materials like balloons, rice, and play dough to help Peyton overcome his sensory challenges. Ruth recently closed her case with the family, and although it’s bittersweet for Jessica, she’s in a much better place.